Lucas added a comment to T8883: KDE Plasma 5.13 Release Video. Lucas closed T6686: Promote Plasma for Unity refugess as Resolved. Lucas created T8643: Plasma 5.13 release announcement . 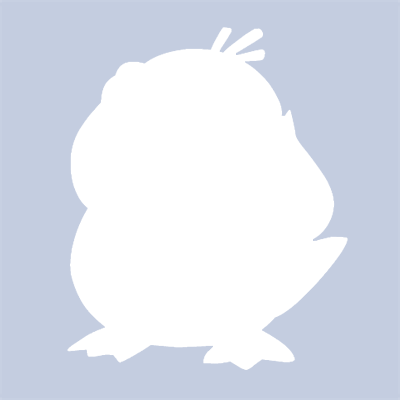 Lucas added a comment to T8469: Build a curated list of Twitter feeds from interesting KDE contributors and users. Lucas updated the task description for T8332: Create a list of video topics for our promo activites. Lucas updated the task description for T8258: Promo subgroups. Lucas created T8332: Create a list of video topics for our promo activites. Lucas moved T6686: Promote Plasma for Unity refugess from Blocked/Waiting - Tasks with some progress that are now paused to Doing - Tasks that are actively worked on on the KDE Promo board. Lucas claimed T6686: Promote Plasma for Unity refugess. Lucas added a comment to T6686: Promote Plasma for Unity refugess. Just a quick info. I rewrited my look and feel package using https://userbase.kde.org/KDE_System_Administration/PlasmaDesktopScripting and uploaded it to KDE Store https://www.opendesktop.org/p/1167950/ By using plasma desktop scripting we have much bigger control on theme and most of the tweaks mentioned by @michaeltunnell should be now doable. Lucas updated the task description for T7680: Promo Sprint: Sign up. Lucas added a comment to T7450: Promo Sprint: Place. Lucas updated the task description for T7116: Streamlined onboarding of new contributors. Lucas closed T6065: Plasma 5.10 promo video as Resolved. Lucas added a comment to T6350: Default applications in Kubuntu 18.04 LTS. This is on our radar and we have had a number of discussions about dropping Amarok. This is not a popular option for many or our users and/or some influential Kubuntu members. At the moment we are keeping an eye on Babe and Elisa, but so far neither are at the level to be a replacement for Amarok on the ISO. Lucas created T6350: Default applications in Kubuntu 18.04 LTS. Lucas moved T6065: Plasma 5.10 promo video from Doing - Tasks that are actively worked on to Done on the KDE Promo board. Lucas added a comment to T6065: Plasma 5.10 promo video. Lucas moved T6065: Plasma 5.10 promo video from Incoming - All new tasks and ideas go here to Doing - Tasks that are actively worked on on the KDE Promo board. Here is a script/voice over text for Plasma 5.10 video. It is heavily based on Plasma 5.10 beta announcement. Lucas updated the task description for T6065: Plasma 5.10 promo video. Lucas created T6065: Plasma 5.10 promo video. Lucas added a comment to T5938: [Planning] Organize regular meetings with marketing/promo team. @skadinna Any info about the survey? Open source developers love G+ ;), seriously though telegram bridged to IRC is quite popular among KDE contributors. It is used by KDE VDG and it works pretty nice. However I am also fine with using a "traditional" form of communication like IRC or mailing list. Lucas added a comment to T5741: [Planning] analysis of current state of KDE promo. Lucas updated subscribers of T5940: [Content] Promote Project Halium. Lucas added a member for KDE Promo: Lucas. Lucas added a comment to D3832: import kwin deco and button order in l&f. I don't think the buttons should be set by a lnf package.